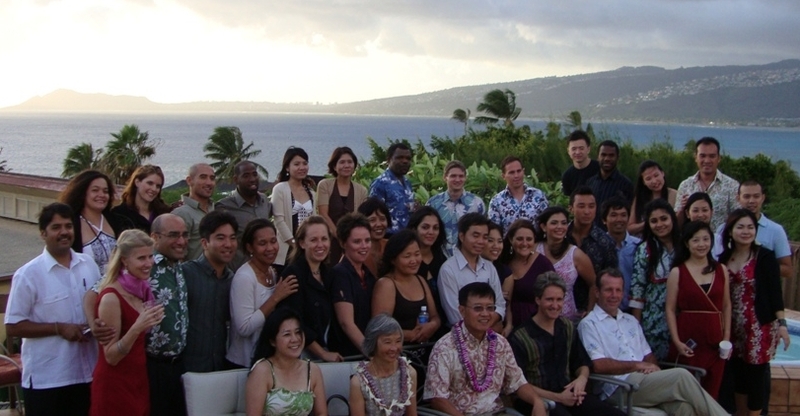 Marvin Uehara was a participant of the 2009 – 2010 Asia Pacific Leadership Program (APLP) at the East-West Center. He has experience and education in tourism and development. Marvin is part of the Generation Nine of the APLP (also known as G9), where 21 countries are being represented. I arrived in Honolulu in June 2009. I came here expecting to live the diversity of the East-West Center (EWC), study leadership in the Asia Pacific Leadership Program (APLP), and enjoy the splendid nature of Hawaii. Over the last five months, I have had lifetime experiences. Hale Manoa is the dormitory of the EWC. Students from all over the world live in this building located in the campus of the University of Hawai’i. Rooms are single or double and kitchen and bathroom are shared. Equality through harmonious cohabitation is the norm in this unique community. APLP is an intensive nine-month course comprised of potential leaders from and interested in Asia-Pacific issues. Generation 9, the current cohort, is made up of 40 people from 21 different countries. Besides classes on regional core issues, leadership, and professional development, participants also engage in field trips and community projects. Hawaii is a paradise on Earth. Sea and mountain-related activities are a must on the island of Oahu. Rainbows are everywhere as well as people descending from all nationalities. The eclectic city of Honolulu is a microcosm of how the world should be. If you are interested in personal growth, making friends, and having memorable experiences I highly recommend EWC, APLP, and swimming during sunrise at Kaimana Beach. This entry was posted in EWCA Chapters, News, Student Relations and tagged APLP, EWCA APLP Chapter. Bookmark the permalink.